This Chapter encompasses a portion of the Middle Atlantic States surrounding the Chesapeake Bay and Delaware Valley, including Washington, D.C., Maryland, Pennsylvania, Delaware, and New Jersey. Join us for a special event at Thomas Edison High School of Technology that highlights the theme of career readiness that permeates the k12 conversation today. We will showcase the students, programs and learning spaces that comprise this new 170,000sf career + technology-focused high school. Edison students choose from 18 unique programs and experience success through hands-on learning that prepares them for college and future careers. We will hear their unique stories as we tour the new facility and see many diverse programs on display. Our tour will also include a visit to the Junior Achievement Finance Park, located on the top floor of Edison. This 20,000sf facility houses 7th graders from across all Montgomery County in an immersive, half-day simulation focused on financial literacy and making intelligent financial decisions that last a lifetime. More info on Edison’s programs. 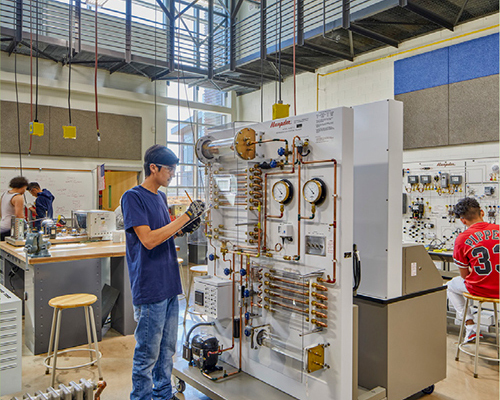 Observe how the creation of professional-grade learning environments across a variety of career and technology education (CTE) programs help to promote professionalism, valuable soft skills and employability for students. Explore the use of natural daylighting and outdoor connections to enhance the learning experience and the wellbeing of building occupants. 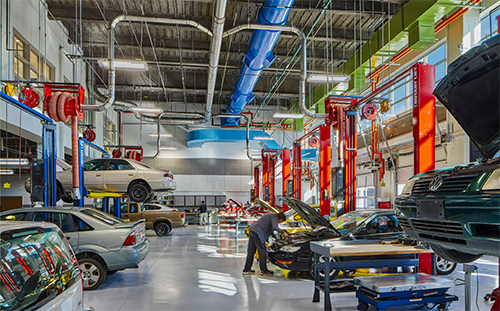 Illustrate how a CTE school can become a valuable community asset, with skills-based learning and career-focused programs that provide beneficial services to local businesses and the surrounding community. 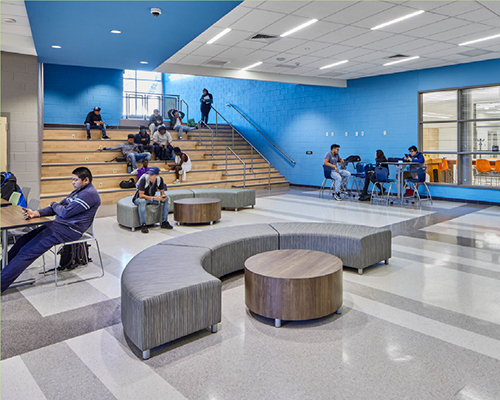 Examine the positive impacts of transparency throughout the learning environment promoting safety, showcasing programs + student work and creating strong visual connections between building programs + occupants. Due to logistical constraints, we must limit registration to the first 45 applicants; these will be processed on a first-come, first-served basis – please register in a timely manner to secure your spot! TEHST is co-located on the same property as Wheaton High School, with some site construction activities still ongoing. Free parking is available for event guests in the green designated areas on the attached parking map. If these areas are full, overflow parking on the adjacent neighborhood streets, following posted parking signage. Carpooling is strongly encouraged. Support Your Chapter and Sponsor an Event!